Many a times, people find it difficult to go to someone else so as to seek advice or help regarding the relationships that they are in and the problems that they are facing. However, there is good news for those that are seeking to start new relationships or strengthen the ones they are in and this is through Hypnosis For Better Relationships. Looking to find a new successful relationship or improve the one that you are in? – Some people in relationships tend to have problems and fears with dating. – Some tend to have difficulty with when it comes to starting or getting into new relationships after coming out of another or a breakup. – In some families, teenagers put a strain in them and this may lead to disharmony. – Colleagues or friends that share different views or perspectives on things may not know how to reach a consensus with each other. – Problems associated with long distance in which the participants do not know how to solve. – Problems that are experienced by married couples. Hypnotherapy involves the use of hypnosis whereby perceptions can be redesigned to assist in the stabilising and healing of relationships. In addition to this, the therapy offers one the power to view things from a completely different perspective. They can be brought to the realisation that things are not bad as they seem through re-appraisement of important events. Thus this treatment is essential to those that are looking to bring back lost feelings of commitment, romance, friendship and love, and most importantly, creating an avenue for healing. Hypnotherapy is quite beneficial and powerful in its own way. For instance, the hypnosis that one is put through with the aim of healing can make one easily pinpoint the feelings. Thoughts are the roots of the problems that they are facing in the relationships. This is a good aspect of the treatment as one will be familiarised with triggers from old bad relationships that lead to the problems that they face into the new relationships. This means that one’s subconscious holds onto all experiences and feelings that they went through in the past. These experiences and feelings include both good and bad and the only way that one can overcome all these is through hypnosis. Hypnosis gives you the power to permanently shut out the bad memories that act as triggers in your present life. In addition to this, one must avoid anything that tends to stress them as this stress may affect his or her relationship with the people around them. Therefore, one needs to always live a positive life and be grateful for everything that goes around them. How you choose to respond to things determine your moods and attitudes, thus how you also relate to the people around you. Being positive will result in a healthy relationship for if one is happy, then so will be their partner. Anyone who holds anger, negative thoughts or stress regarding something and they really want to get rid of it, then they should try out hypnosis as it really helps! 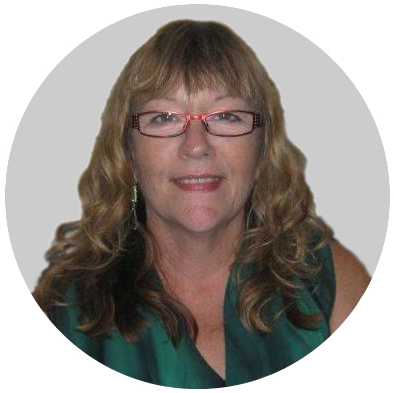 Linda Milburn of Hypnocare has been involved in Natural Healing for over 30 years and her past studies and practises have included Aromatherapy, Chinese Massage and Reiki. The practise of Reiki is a constant in her life and has taught the modality as a Master for the last 16 years. In her experience with clients in massage and Reiki, she came to realise that many people had mind-based origins for their many physical and emotional challenges. The natural progression for Linda was to seek a modality that could assist her clients to overcome those mental blocks. This led her to hypnosis. In 2004, she started hypnosis training with Rick Collingwood and the Australian Academy of Hypnosis. Since then she has done further training in the art of hypnosis with Devin Hastings, Leon Cowen, Delores Canon and others. Linda Milburn also acquired her practitioner training in Humanistic Neuro-linguistic Programming with Gary De Rodriguez. Linda has seen firsthand that hypnosis can be a powerful tool to help clients overcome many of their varying complaints. She knows through her own life challenges just how daunting things can become, and knows that she can help you if you are ready to take that first step to taking back control of your health and well-being – physically, mentally, emotionally and spiritually, whatever that means for you. Linda prides herself on being honest, thorough and highly ethical. Life experience has given her a natural empathy for those who seek her help. Call Linda or Hypnocare today on 0409 079 435 or 08 9388 6322! You can start to change your life now.